The Select command provides the most straight forward way to compile selected keywords into campaign and ad group for quick upload to Adwords. Basically you select cells that contain the keywords you want to compile, define required outcome and click to execute. go through a list of suggested keywords downloaded from Google Keyword Planner, SEO keywords list, bottom of SERP, keywords competition tools, etc. Click on "Select" Button to trigger dialog box. This dialog box is for the output format to be upload to Adwords Editor. This dialog box is for output format in list. Select keywords, define settings, click to generate output. The output format can be easily copy and paste to Adwords Editor. 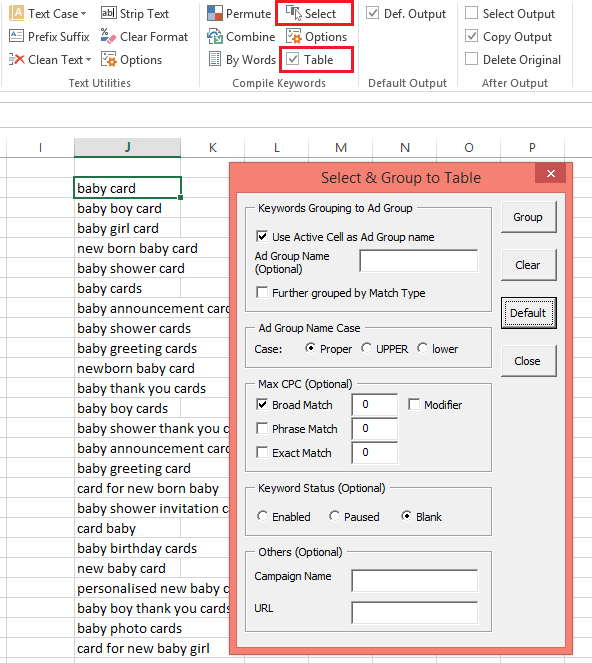 Ad Group: You may choose to use the keyword in Active Cell as ad group name. You can further group the keywords by match type. 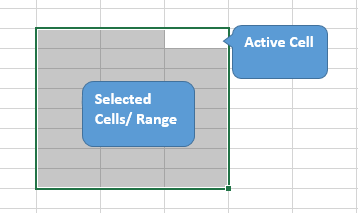 (Active Cell is the only cell in a range of selected cells with white background). There is an option to use keyword in the active cell as ad group name. Active cell is the single cell in a selected range with white color background. 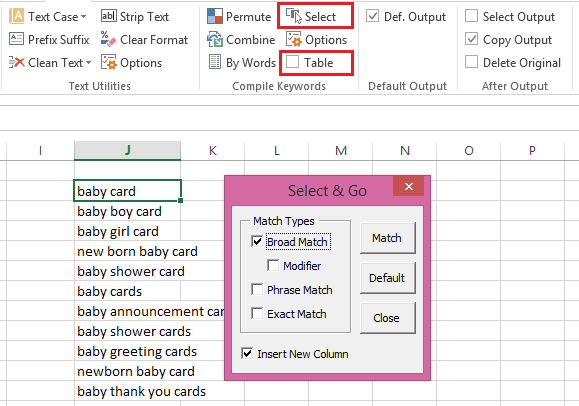 In this processes selected and compiled keywords will be deleted from their original cells. This means you can work on the original list without fear of duplicating keywords.